Are you looking to take your business overseas but not sure how to protect your Intellectual Property (IP) Rights there? Do you represent businesses and want to hear about the latest developments in global IP Systems? Then sign up for the WIPO Roving Seminar. In this event, senior representatives from WIPO will lead an interactive programme of discussions that are sure to be interesting to anyone involved or interested in the international protection of IP Rights. This full-day event provides an introduction to WIPO services and initiatives, including International Systems for the protection of IP Rights and the infrastructure for the exchange of IP information. With plenty of opportunities for debates and discussions, plus interaction with the New York Intellectual Property Law Association (NYPLA), United States Patent and Trademark Office (USPTO) and local business representatives, what more can one hope for? A full programme is available here and you can register your interest here. Students go free; others have to fork out US$ 50, which makes this event a real bargain. Around the weblogs. "Indian Patent Office Releases Guidelines for Examination of Computer Related Inventions", J. Sai Deepak informs us on his blog The Demanding Mistress; he promises a fuller analysis to follow this short note. Still on patents, PatLit's parallel post on partial prior publication and poisonous provisionals [how's that for alliteration, purrs Merpel!] -- a guest piece by David Holland -- has generated some comments of its own, so readers may like to contemplate it in tandem with our own Katpost by Darren on the same topic here. 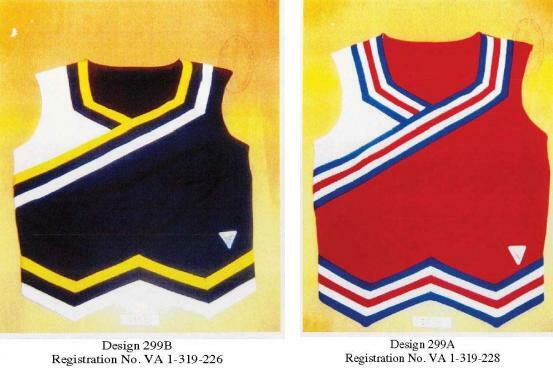 Finally, the US courts have been exercised once again in their brain-racking over whether clothing designs are functional or artistic, in the peculiar context of cheerleaders' costumes: the court was split, even if the costume didn't: Ben Challis reports on the 1709 Blog here. New team for JIPLP. It's no secret that IPKat blogmeister Jeremy is retiring at the end of November. But up till now there has been no official news as to who might be replacing him as Editor of the Journal of Intellectual Property Law & Practice (JIPLP), which he launched with Oxford University Press ten years ago. Anyway, earlier today the jiplp weblog announced who would be replacing him in his editorial capacity: there's a three-person team of fellow Kat Eleonora Rosati, former guest Kat Stefano Barazza and Marius Schneider (Ipvocate and co-editor of Enforcement of Intellectual Property Rights through Border Measures - Law and Practice), together with content commissioning editor Sarah Harris, who is getting an upgrade. Jeremy is delighted that the link between JIPLP and the IPKat weblog will be maintained, a link which he believes to be mutually beneficial.